There are many things to consider when you're looking for a new dentist. After all, dentist/patient relationships are often some of the longest relationships people have in healthcare. It's important that you ensure the relationship is going to work for you. 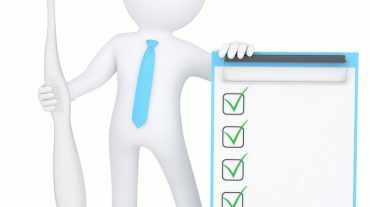 If you're looking for a new dentist, use this checklist to make sure you find a dental care team that's the best choice available for meeting your unique needs. Where are they located? For many, it's nice to have your dentist near your home or work, but for the right dentist, most people don't mind driving a little further. Do you have special needs? Perhaps you want a dentist who specializes in treating children. Maybe you need one who has a translator on staff, or someone who speaks sign language. Does the dentist you're considering have adequate accessibility? What are the office hours? Be sure they work with your schedule. Remember, you're the one who's going to have to keep the appointments. How do they handle payment? If you're going through an insurance company, this may limit the number of dentists you can consider, but if you're willing to pay out-of-pocket for the perfect smile, you have a greater chance of working with the dentist who will help you get it. Remember that your dentist's job, first and foremost, is to help you make decisions based on your oral health, not an insurance policy. His or her relationship needs to be with you—not with an insurance company. What is the dentist's educational background and credentials? Few dentists get their certificates out of Cracker Jack boxes anymore, but it's a good thing to find out not only where they learned their trade, but how they keep their practice up to date on the latest developments in dental care. When is the next available appointment? Dentists booked solid for a few months is standard, but you don't want to book anything further than six months out. How does the office feel to you? Be sure you're comfortable in the reception area, and that it's clean, orderly, and well-lit. You may be here for a few minutes. How are you treated by the office staff ? The people behind the desk set the tone for the rest of the experience. Are they friendly and accommodating? How thorough was your examination? A first visit should be more than a quick glimpse and cleaning. Did your potential new dentist spend some time learning about you and your dental history? Did the dentist take the time to make sure you understood your treatment plan? Do they emphasize preventive dentistry? Some of the best dentists in the world are the ones who avoid doing the big jobs. If you're creating a relationship with a dentist, you'll want one who will teach you how to avoid potential problems through preventative care. 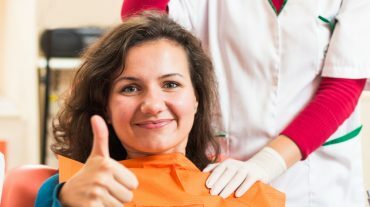 How were you treated by the dentist and hygienist? Since this is where you need to be the most comfortable and have the most trust, it's important to have people who ask you questions, listen to you, and are considerate of your needs. A final note: When you're vetting dental care practitioners, the questions shouldn't be one-sided! The dentist and staff should ask you questions about your dental health and your philosophy, so that together you can come to a good understanding of what options are best for you—the key word being options. 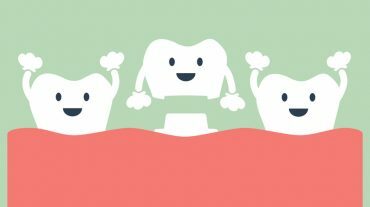 This is your time to speak, and time for the dentist to get to know your oral health behaviors and ideas so they can help you decide what is best for you and your health. You should expect these option to be based always on your health, not on something like insurance coverage.